A two, three or four-day in-company course that helps organisations embed the tools, knowledge and skills to innovate and invest in technologies that will add significant value to the business. "Participants took away a lot of practical tools and insights. They also benefited from discussing the big picture and their roles in supporting the future of our company." This in-company bespoke course provides organisations with key tools and techniques for managing and exploiting technological investments and opportunities. Ensure that the investment you make in selecting and managing technologies adds real value to your business. Configured to suit your organisation's needs, with practical activities customised to address company-specific issues. 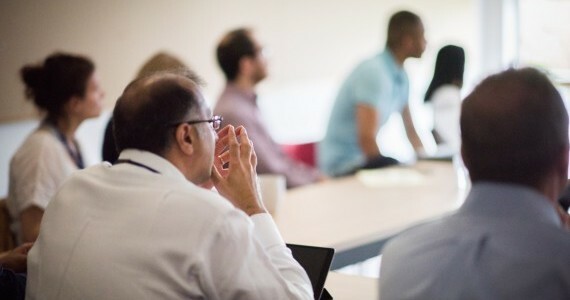 Participants leave the course with a working knowledge of key concepts, methods and tools, which they can then directly deploy within your organisation. Course tutors will impart insight and knowledge on practical experiences of what works, so you benefit from the experience gained from working extensively with leading organisations across the world. The training is suitable for participants from a range of functions and levels and will benefit from multi-functional / organisational participation. People who would value attending the course include technologists, engineers, researchers, designers, product managers, strategic planners, marketing, etc. Emerging technologies: Addressing the challenges of managing early stage technologies, emphasising the dynamic and exploratory nature of pre-commercial technological innovation. Evaluation and selection of technology-based projects: Covering multi-factor scoring techniques and their application for prioritising and choosing between possible innovation projects. Risk: Introducing how risk management tools and frameworks can be integrated with roadmapping to better understand and manage the risks and uncertainties inherent with technological innovation. Strategic roadmapping overview: Covering the history, application and underlying principles of roadmapping for strategy and innovation, illustrated with examples. Technology Intelligence: Covering the intelligence activity, systems functions, processes, tools and case examples on how to keep abreast of the latest technology developments. Visioning: Setting strategic direction is important for mobilising and aligning thinking and action for innovation, ensuring a common view between commercial and technical perspectives. If you are interested in running this course at your organisation, please contact Dr Rob Phaal to discuss the different options and how we can tailor the course to meet your specific requirements. We also run this course annually as part of our Open Courses programme, view the next available date.